Checkout is the social media platform’s new feature that allows in-app shopping purchases. Instagram in-app shopping is now a real thing. The Facebook-owned photo and video-sharing social networking service has unveiled Checkout, a new feature that allows users to make purchases directly inside the app without being redirected to another site to complete the purchase. Shopping via Instagram (IG) is nothing new, but now users don’t have to leave the app to complete purchases. To be clear, the new Instagram in-app shopping feature does not mark the first time that users of the social media platform can shop within Instagram. What makes Checkout noteworthy is that it is the first time that users can shop and buy without having to leave the app to do so. The feature functions like standard mobile commerce. 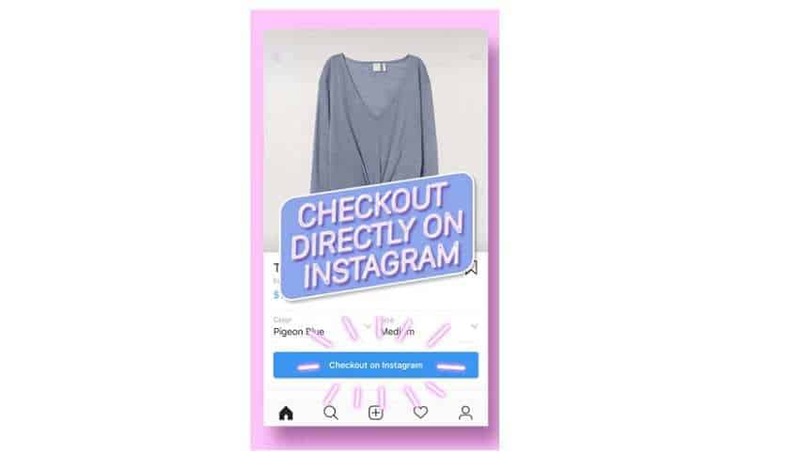 The way it works is if a product from a brand’s shopping post is available to buy directly through IG, the user will see a “Checkout on Instagram” button on the product page. Users can then tap the product to select from various options, such as color or size. Once selected, the IG user can proceed to pay for the item immediately, without having to leave the app. To complete the payment process, the user will need to enter their name, email, billing information and shipping address. This info will be needed only for the first checkout. Once their first order is complete, the payment information provided will be securely saved for the user’s convenience the next time they shop, according to an official statement from Instagram. Shipment notifications and delivery will also be provided directly inside Instagram, so users can keep track of their purchases. So far, 20 brands are participating in the Instagram in-app shopping feature. Rumors about Instagram developing this feature have been around since last year as QR Code Press first reported about it back in September 2018. However, now that it has finally been unveiled, Instagram has revealed that over 20 brands are participating in the rollout and in the coming weeks and that more will be coming soon. Among the brands currently available include: Adidas, Anastasia Beverly Hills, Balmain, Burberry, ColourPop, Dior, H&M, Huda Beauty, KKW, Kylie Cosmetics, MAC Cosmetics, Michael Kors, NARS, Nike, NYX Cosmetics, Oscar de la Renta, Ouai Hair, Outdoor Voices, Prada, Revolve, Uniqlo, Warby Parker, and Zara. Presently, the Checkout Instagram in-app shopping feature is available only in closed beta for businesses and people in the United States.